Jordhy Ledesma has partnered with ASA College to deliver a powerful educational experience and create a cohort of modern full-stack web developer for the needs of today’s fast-paced business environment. The curriculum has been freshly developed to include an assortment of the most widely used web development technologies. Multiple computer labs and schedules will accommodate practical, personalized and convenient learning. If you’re in NYC, Brooklyn or Miami, please call 877-470-9638 or reserve your spot (for free) at the next orientation session. This course is a hands-on workshop that focuses on the back, front end and practical issues of website production and maintenance. 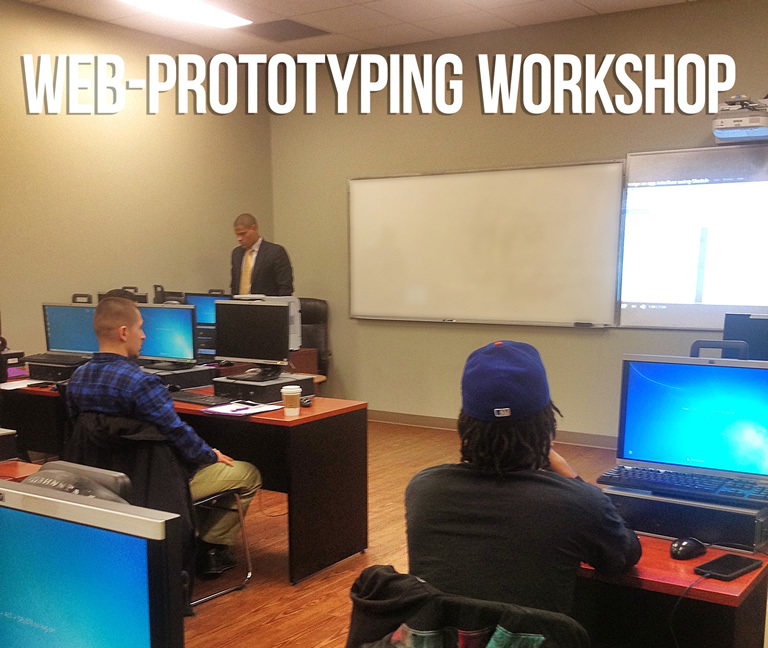 In this highly practical course, students will build up their skills along with a portfolio of web solutions they can show to prospective employers or clients. 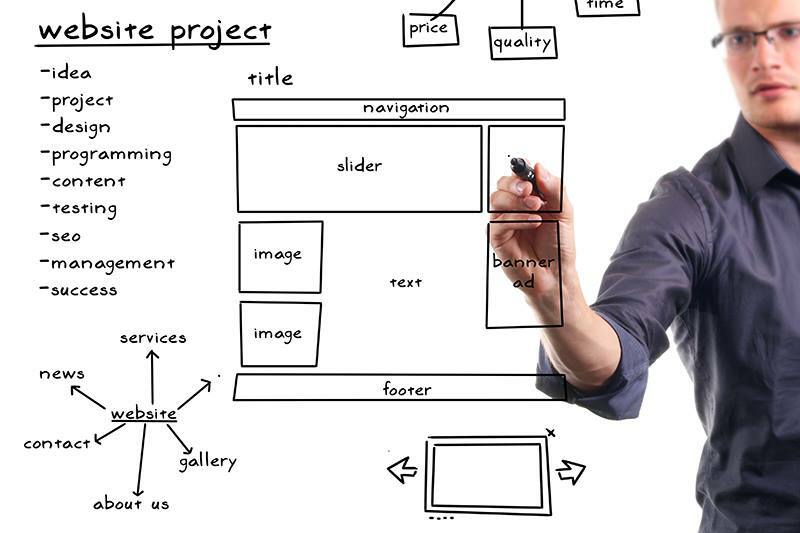 Web Development is one of the most active disciplines of Information Technology. Both demand and salaries are very high in this field. Full Stack Web Development provides a fast path to employment because developers possessing these skills can work as entry level front end or back end developers or even as freelancers. Full Stack Web Development with PHP and WordPress is a course that takes into account the aforementioned arguments to provide students with a practical course in which they will learn about the LAMP stack (Linux, Apache, MYSQL and PHP) and walk away with a portfolio of skills and code they can apply in their very first job after the course. ASA College currently has more than 5,000 students, 16 programs of study, and 5 campuses; Midtown Manhattan, Downtown Brooklyn, North Miami Beach, Florida, Hialeah, Florida, and Golden Glades, Florida. The mission of ASA College is to educate a diverse and qualified student population to become responsible professionals committed to lifelong learning by equipping them with a firm academic foundation and career-specific competencies. ASA offers high-quality degree and certificate programs that respond to the needs of students and employers in a global economy. The ASA faculty and staff are dedicated to maintaining professionalism and institutional integrity in a student-centered environment. The value of digital currency bitcoin crashed on Thursday, falling by more than a fifth just as it appeared to be at an all-time high. The price of one bitcoin abruptly fell from $1,161 (£942) to $889 before it stabilised at around $950. An agenda that will likely signify the reversal of many progressive legacies and bring us closer and closer to the politics of the 80s and 60s. A stronger dollar might call for less speculation in Bitcoin but, with Peter Thiel by Trump’s side, don’t be surprised to see true bitcoin innovation by the very government that so hardly attacked it. As the reward for mining decreases, bitcoins becomes scarcer and scarcer. This creates the exponential effect of supply tightening because investors become more conservative as time goes by and volatility is consequently reduced over time (as a percentage of the currency’s value). Updates in the Bitcoin protocol have also made the currency less susceptible to attacks of several sorts. I don’t have a clue. Be extra careful with your investments on bitcoin and cryptocurrency in general for this year. Diversify, save, be cautious and remember the old days, because I think we’re going back to them. Thanks for reading and, to the moon! Innovation is the application of existing technology in new ways. In contrast, invention is the creation of new technology. While innovation is a constant in web development, we’ve seen a good deal of invention in the past decades. Here’s how you can put each one of these to work in your next web development project. By nature, innovation is incremental, interdisciplinary and healthy to the bottom line. It takes a village to raise a child and a deeply knowledgeable and diligent team to bring valuable innovations to life. Consider innovating to create new corporate advantage, cost costs and streamline operations. The app revolution, responsive website development and website localization are largely innovative endeavors. While you are not creating new technology per se, you are offering new solutions to a market that was previously lacking. Ponder the special case of technological innovation. Translating products to bring them into new markets, creating new features and packaging old software for consumption in smartphones, for example. Such innovation is relatively cheap and can provide broad differentiation to your practice. Choosing to innovate has its drawbacks also. It’s more expensive than the status quo, there are no guarantees of success and considerable corporate frictions routinely arise. A common byproduct of being too innovative is releasing bloated software, delayed projects and websites productions that are an order of magnitude over budget. The key is to be judiciously innovative and watch your resources at all times. If you’re developing for a startup or businesses opening new product lines, don’t discard invention. Inventions are hard to come by and are usually created by seasoned professionals. To name a few we can think of Amazon’s “one click purchase”, Apple’s iTunes platform or Google’s search algorithm. By nature, invention is scarce, trans-formative, hard and expensive. Sadly there’s very little invention in traditional web development. It surprises me how many new developers fail to internalize their main development computer as an integrated system. They think that a computer is simply a collection of parts and routinely forget considerations about ergonomics when purchasing new hardware. Many of these recent grads are coding complex web applications using a laptop keyboard that is probably worth less than ten dollars; their use of portrait screens, secondary monitors, specialized track pads and voice recognition software is also very scant. This post is a wake up call for all the junior developers out there: the keyboard could be your main bottle neck. These give you better tactile feedback, are easier on your fingers and provide all sort of ergonomic goodies. With them, you can type code faster, last longer and reduce the risk of developing certain illnesses later in life. I use mechanical keyboards because its easier to achieve hand-eye coordination with them and more of my mind is devoted to other tasks. If you have anything as advanced as a Core 2 Duo (or a Core i5 or faster) you already have most of the processing power needed for modern computing. However, disk transfer times and input times could be hindering your productivity. SSDs and RAM chips’ prices have fallen dramatically, so an upgrade in that department is become trivial. Nevertheless, time and time again I see junior programmers making basic mistakes when it comes to input devices. Voice recognition software, track pads, mechanical keyboards, portable OCR scanners (like the Doxie), track points and digital pens can reduce what could be your greatest productive bottleneck: your hands. This tip is relevant even for video editing folks. If you’re not using a mechanical keyboard with dedicated keys and a handful of powerful macros along side high quality complimentary input devices, you’re missing a great chance to improve your productivity. Web Assembly walks away from the notion that the Web is a collection of documents. With native code directly available to browsers the first “truly real web apps” will come about. We will enjoy a snappier web with richer functionality and enhanced security and the cost of porting interactive applications to the Web will be substantially reduced as companies refactor their existing C/C++ code bases with ease. Games, videos, office applications, interactive applets and animations will all benefit from this major improvement. Web Assembly fills the gap of plugins on the Mobile Web. In particular, the mobile Web will gain an astounding amount of functionality provided developers can figure out a way to make native applications take advantage of responsive interfaces. Except for security concerns this will probably be the greatest technological factor arriving in the Mobile Web in 2016. Jordhy Ledesma, CEO and Online Producer at Information Providers, has recently judged for the second time at the annual international WebAwards competition. The WebAwards recognizes the achievements of Web professionals all over the world who create and maintain outstanding Web sites. Websites are judged on design, innovation, content, technology, interactivity, copy writing and ease of use. “This year the amount of creativity and innovation was remarkable”, Ledesma says. “The sheer amount of content and interactivity in today’s web properties is a testament to ever increasing Internet speeds and the accelerating quality of development tools” – he continues. A “Best of Industry” WebAward will be given in each of the 96 industry categories, including financial services, medical, small business, travel, advertising, transportation and government. The competition’s highest honor, the 2015 WebAward “Best of Show,” will be given to the one site that the judges believe represents the pinnacle of outstanding achievement in Web development.The Web Marketing Association also recognized the interactive agency winning the most awards in the competition with the “Top Interactive Agency” WebAward. Founded by the Web Marketing Association in 1997, the WebAwards is the standards-defining competition that sets industry benchmarks for the best web sites based on the seven criteria of a successful website. The goal of the WebAwards is to provide a forum to recognize the people and organizations responsible for developing some of the most effective websites on the Internet today. 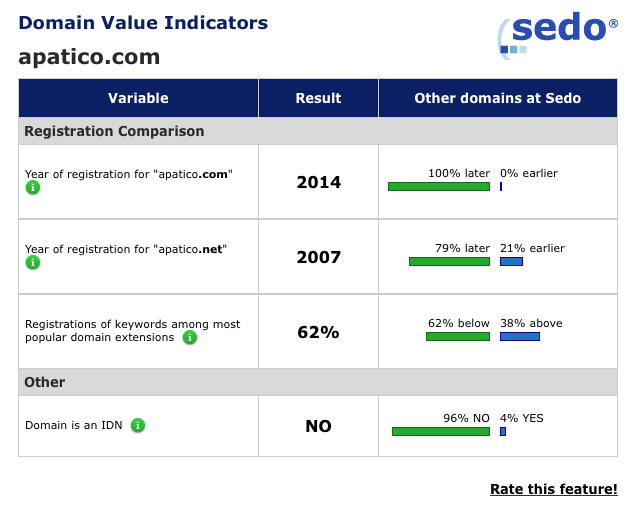 Sedo, has partnered with eCOM-LAC to participate in the launch of the new generic top-level domain (gTLD) .LAT to provide Internet Presence with Latin Identity. 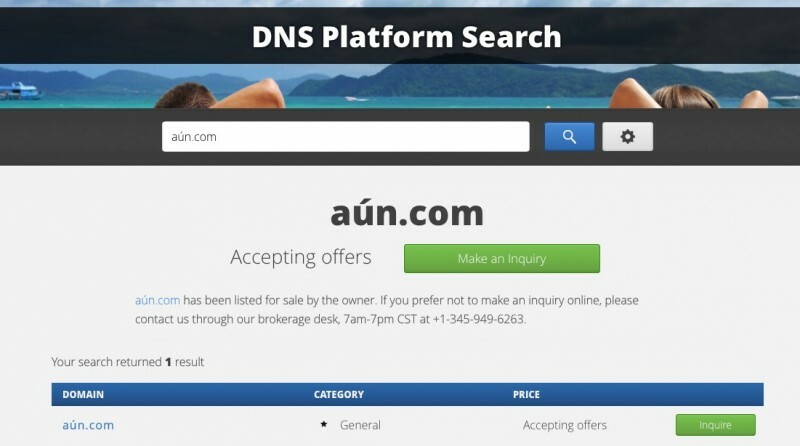 eCOM-LAC selected the domain industry leader Sedo to conduct sunrise auctions, and provide marketing and communications tools to bring the .LAT to the potential clients. organizations, causes and projects on the Internet; and because it’s new, it brings a great alternative for existing top level domains as all names are still available. .LAT is short, intuitive and easy-to-remember. That makes it ideal for Latino owned businesses or businesses that have a special interest in the Latino community as a market. .LAT’s high recognition offers the possibility of direct communication and engagement with that community. SEDO was the first and only choice for supporting the launch of .LAT for its strong presence and recognition on the market .LAT is trying to reach. Sedo connects domain buyers and sellers making it simple for individuals and companies to acquire the domain names they need for their online presence. An industry leader in creating awareness for the new domain names, Registries also entrust Sedo to conduct their auctions and provide a comprehensive suite of services for the marketing and expansion of their domains. In addition, there’s Sedo support staff who speak Spanish and Portuguese as well as 21 other languages, and the company maintains various language-specific versions of its domain marketplace – including the Spanish and only Portuguese-language domain website, to facilitate domain transactions for non-English speaking users like some of the .LAT audience. Latino market is attractive, open and growing every day. Latinos have one of the highest growth potential around the world. .LAT will be a great tool for Latinos as they engage and are more active on the internet than any other group and are also digitally-savvy and know how to celebrate their culture. .LAT Sunrise has been extended until April 30th, so there’s still time to secure you brand or trademark before the .LAT is open to the public. For complete details of the .LAT launch please visit www.nic.lat. The Latin America and Caribbean Federation for Internet and Electronic Commerce (eCOM-LAC) was founded in March 1988 and is based in Uruguay. It is a non-profit organization integrated by several entities interested in combining efforts for ICTs in the Latin America and Caribbean region, supporting initiatives to reduce the digital gap. The technical backend for .LAT is provided by NIC Mexico, incorporating the most advanced technology and quality standards in the industry making .LAT a 100% Latino initiative. For more information about .LAT and how to take part on the launch of the .LAT new gTLD please visit www.nic.lat. 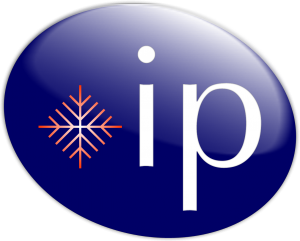 *IP is kicking off the second quarter of 2015 with a series of large scale portal launches. The first is Mesothelioma Asia, a portal covering the Mesothelioma illness and offering a set of information tools for families and lawyers. The portal has a private social network for both lawyers and families, provides rich academic, legal and medical information as well as daily news. The portal is fully owned and operated by Information Providers. Mesothelioma Asia is part of ONE Media Network, a brand of information portals created by Information Providers to educate and ease access to complex information. 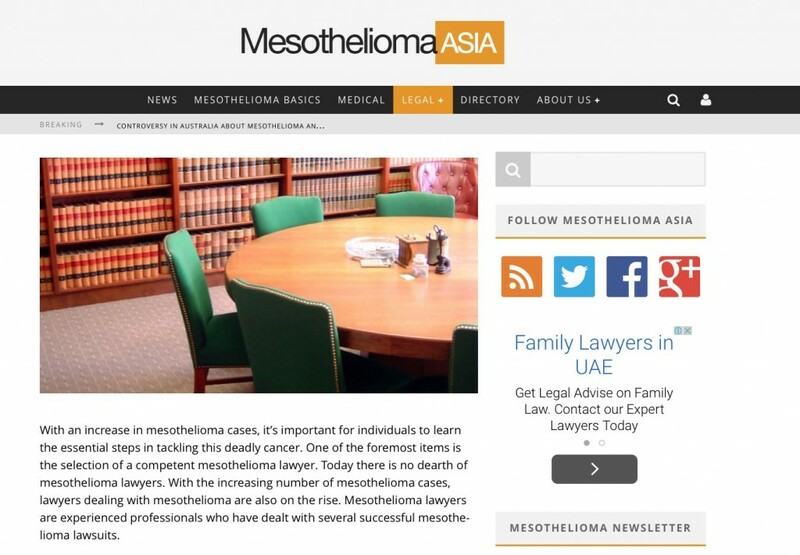 In particular, Mesothelioma Asia includes complex legal information such as lawsuits, settlements and professional directories in an easy to digest format. Academic papers with the latest advances on the subject are also well covered as well as the current stance of asbestos regulation in all of Asia. The PanAsian portal will offer directory services to attorneys, research centers and medical doctors while preserving the privacy of its members. Technically speaking Mesothelioma Asia features responsive technology, mobile versions for the iPhone and iPads, multiple news letters and automatic categorization services, RSS, social network integration, breaking news tickers, social network integration, commenting and moderation systems, video rich content and multiple content suggestion services. You can visit the portal now at www.mesothelioma.asia. 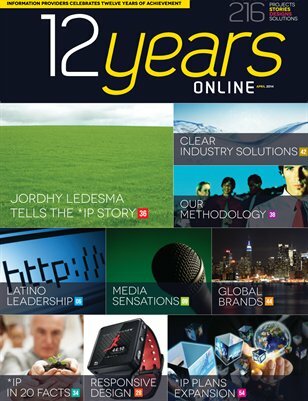 Jordhy Ledesma, CEO and Online Producer at Information Providers, has been re-appointed as judge for the WebAwards 2015. The WebAwards recognizes the individual and team achievements of Web professionals all over the world who create and maintain outstanding Web sites. Websites are judged on seven criteria, including design, innovation, content, technology, interactivity, copy writing and ease of use. Ledesma was also a judge in the WebAwards 2014. The deadline for entry is May 29, 2015 and the entry form can be found at www.webaward.org. The goal of the WebAwards is to both recognize the people and organizations responsible for developing the most effective Websites on the Internet today. Entrants benefit from receiving valuable feedback from the WebAwards professional judging panel on their Web site development efforts. The WebAward Competition is open to all organizations and individuals involved in the process of developing web sites for organizations, companies and the government. 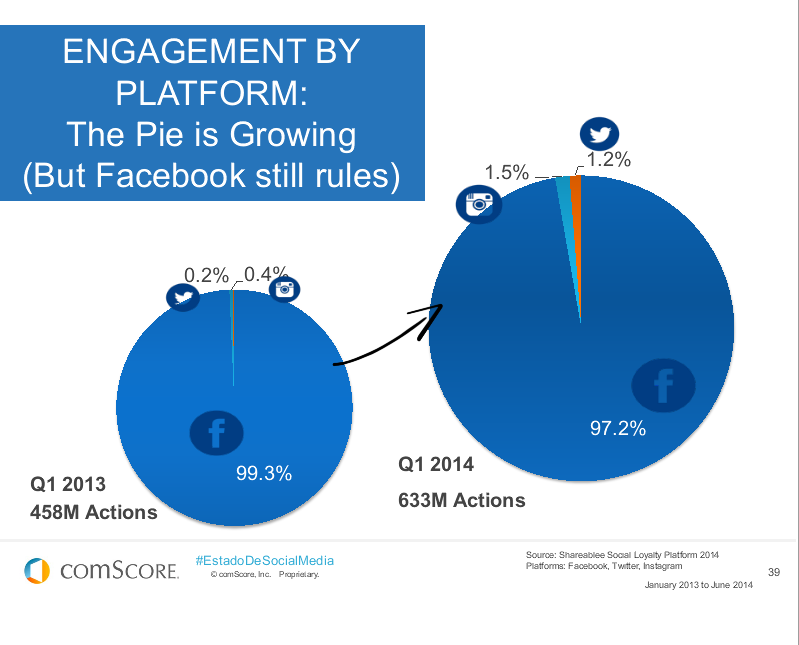 Web sites entered must have been in general use for at least part of calendar year 2014 or early 2015. Sites that have won awards in past WebAward Competitions are eligible for the current competition. WebAwards are granted at three levels. Sites that receive the highest average score from the judges within a given industry category are awarded a “Best of Industry” WebAward and will receive a personalized WebAward statue to commemorate the achievement. Remaining sites will then be judged against a standard of overall excellence and quality for either an Outstanding WebAward or Standard of Excellence WebAward based upon the total score given to the entry by the WebAward judges. These winners will receive a personalized certificate of achievement. One site will be recognized as Best of Show and receive a special edition WebAward statue. WebAward Judges are a select group of industry leaders that volunteer their valuable time, energy and expertise to help raise the standard of excellence of web development on the Internet. The Web Marketing Association acknowledges their contributions and dedication making the WebAward Competition the premier annual contest for web developers and marketers. Founded by the Web Marketing Association in 1997, the WebAwards (http://www.webaward.org) is the standards-defining competition that sets industry benchmarks for the best web sites based on the seven criteria of a successful website. The goal of the WebAwards is to provide a forum to recognize the people and organizations responsible for developing some of the most effective websites on the Internet today. The Web Marketing Association (http://www.webmarketingassociation.org/wma/) was founded in 1997 to help define the standard of excellence for online marketing. Our internationally known award programs, such as WebAward Competition for Website Development, Internet Advertising Competition and the MobileWebAwards, recognize the people and organizations responsible for developing the most effective online marketing programs on the Internet today. Entrants benefit from assessment of their marketing efforts by a professional judging panel and the marketing opportunities presented by being recognized as an award-winning web developer. In the quest to better serve the Hispanic market we must understand their idiosyncrasies, their culture, their economic reality and the psychographic mindset that sets Latinos apart. As our practice has progressed we have written, reviewed, selected and highlighted a large quantity of research about the Hispanic Internet. 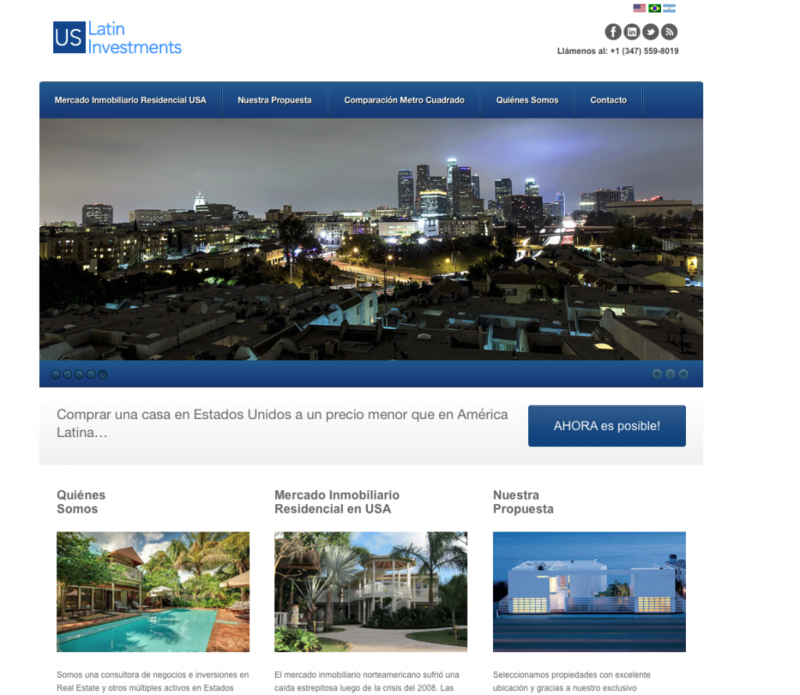 Due to the large number of requests we have prepared this page with a selection of some of the most notable research about Hispanics, Latin-American websites and eCommerce in Latin America. This curation covers eCommerce, eGovernment, the psychographic profile of Latino web consumers and important aspects associated with social media use in the region. The Failure of eGovernment in Developing Countries – London School of Economics. eGovernment in Latin America and the Caribbean – Silvana Rubino-Hallman. Web design patterns for eGovernment websites – University of São Paulo. White Book of e-Government Interoperability for Latin America and the Caribbean – The United Nations. eGovernment in Latin America: A Review of the Success in Colombia, Uruguay, and Panama – Organization of American States. U.S. Hispanic Consumer eCommerce Preferences – Florida International University. Latinos Online – Pew Hispanic Center. culture – University of Westminster. 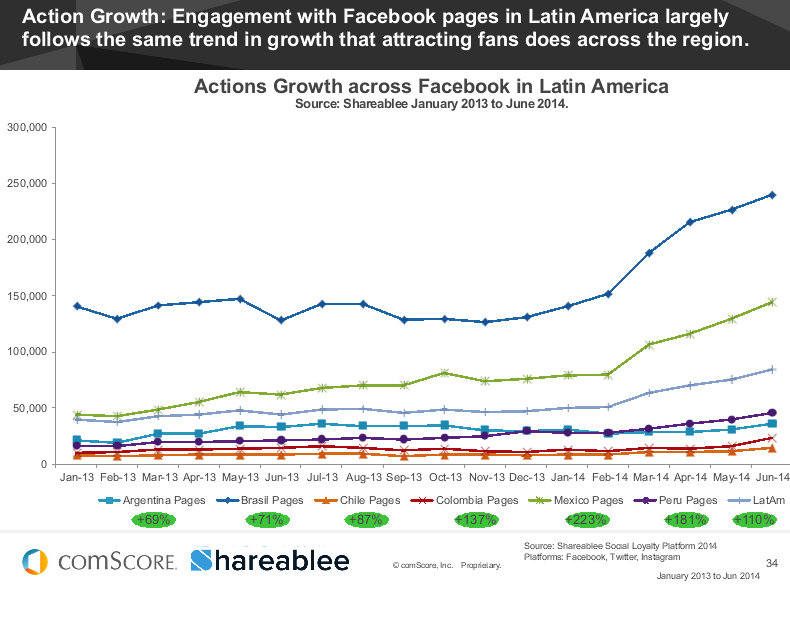 The Rise of Social Networking in Latin America – comScore. Hispanic Resources – U.S. Department of the Interior. eGuide to Online Sources of Law Relating to Latin America – New York City Bar. Closing the Digital Divide: Latinos and Technology Adoption – Pew Hispanic Center. 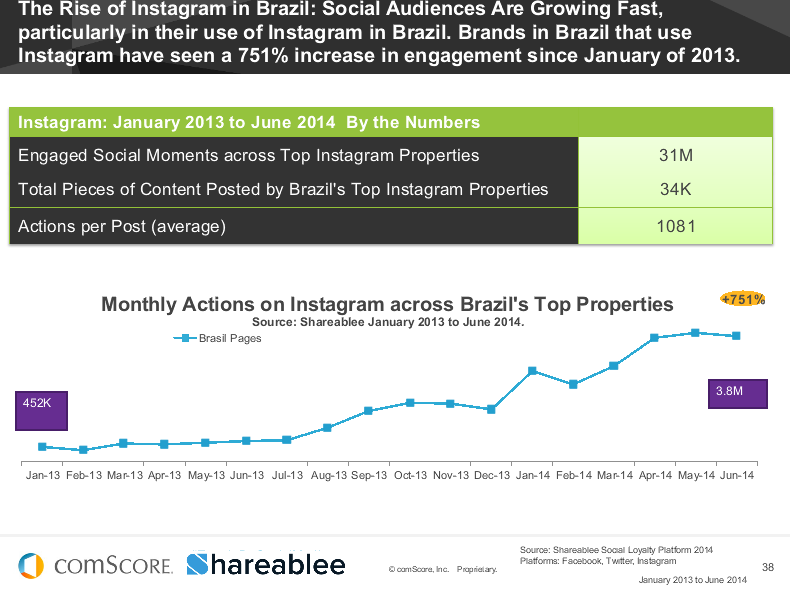 Global Web Design Trends: South America – Noupe. If you need any additional information not present in any of these documents, please do not hesitate to contact us. *ip has developed a modern web presence for the Math Multipliers educational program. 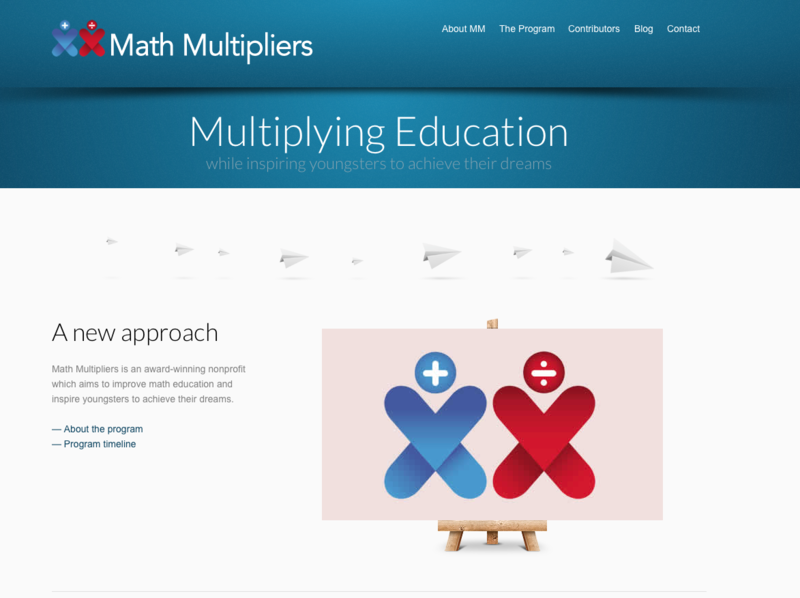 Initially backed by the Clinton Foundation, Math Multipliers identifies and nurtures young leaders that become math tutors across the Dominican Republic. The program has expanded across the nation and will also pursue international opportunities. The solution includes a multilingual CMS solution, web development and design, search engine facilities and social media integration. This eLearning solution has been crafted so that hundreds of high school students can independently browse and update the site for society to consume. Please visit the site at http://www.multiplicadores.do. Computer experts around the globe are signing an open letter issued by the Future of Life Institute that pledges to safely and carefully coordinate progress in the field to ensure it does not grow beyond humanity’s control. Signees include Jordhy Ledesma, computer science professors and experts at some of technology’s biggest corporations, including IBM’s Watson supercomputer team and Microsoft Research. Our company is committed to Ai advancement and, along with cryptocurrencies, web development and distributed programming; represent the new wave of innovation that is shaping our world. Artificial intelligence (AI) research has explored a variety of problems and approaches since its inception, but for the last 20 years or so has been focused on the problems surrounding the construction of intelligent agents – systems that perceive and act in some environment. In this context, “intelligence” is related to statistical and economic notions of rationality – colloquially, the ability to make good decisions, plans, or inferences. The adoption of probabilistic and decision-theoretic representations and statistical learning methods has led to a large degree of integration and cross-fertilization among AI, machine learning, statistics, control theory, neuroscience, and other fields. The establishment of shared theoretical frameworks, combined with the availability of data and processing power, has yielded remarkable successes in various component tasks such as speech recognition, image classification, autonomous vehicles, machine translation, legged locomotion, and question-answering systems. FREIBURG, Germany — Jordhy Ledesma, CEO and Online Producer at Information Providers, announces the completion of the translation project of OXID eSales to Latin American Spanish. Now over 500 million Spanish-speaking consumers will have access to online stores crafted using the popular German software. The extension can be downloaded free of charge at http://exchange.oxid-esales.com/Shopping-process/Languages-Countries/Latin-American-Spanish-for-OXID-eShop-4-8-7-Stable-CE-4-8-x.html. It is published under GPLv3 and can be used by every OXID eShop no matter which edition is used. Previously, Ledesma has released translations for the FarCry CMS and the Ning Platforms. Inicialmente en español, el kit de negocios incluye una presentación acerca del eCommerce dominicano preparada por Jordhy Ledesma (360 slides) y un kit de herramientas con informaciones relativas al eCommerce local que los gerentes dominicanos deben conocer. Los documentos son distribuidos de forma inmediata y segura a través del payment gateway internacional GumRoad. 1.1 Cómo empieza el eCommerce en R.D.? 1.2 Cuál es la situación Actual? 1.5. 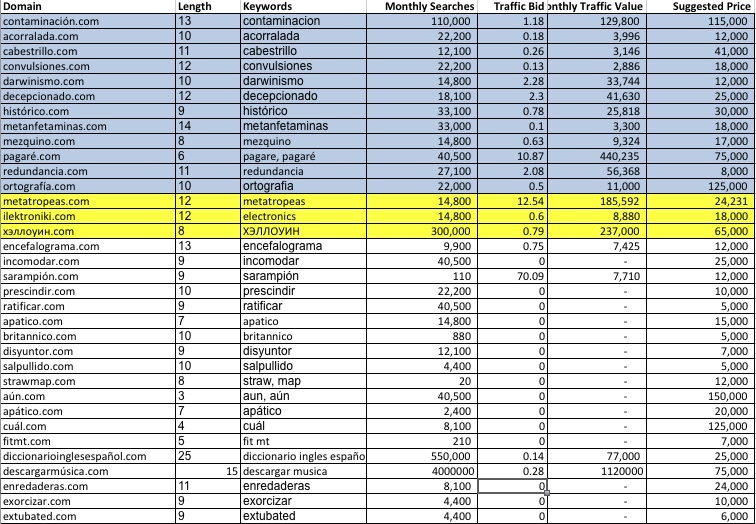 Barreras del eCommerce en R.D. Jordhy Ledesma, CEO and Online Producer at Information Providers, has been named as a judge for the 18th annual international WebAwards competition. The WebAwards recognizes the individual and team achievements of Web professionals all over the world who create and maintain outstanding Web sites. Websites are judged on seven criteria, including design, innovation, content, technology, interactivity, copy writing and ease of use. The deadline for entry is June 13, 2014 and the entry form can be found at www.webaward.org. The goal of the WebAwards is to both recognize the people and organizations responsible for developing the most effective Websites on the Internet today. Entrants benefit from receiving valuable feedback from the WebAwards professional judging panel on their Web site development efforts. The competition’s highest honor, the 2014 WebAward “Best of Show,” will be given to the one site that the judges believe represents the pinnacle of outstanding achievement in Web development. Last year’s Best of Show winner was BETC Paris for their exceptional work on Peugeot RCZ Test Driver. The Web Marketing Association will also recognize the interactive agency winning the most awards in the competition with the “Top Interactive Agency” WebAward. Interactive and advertising agencies that win a 2014 WebAward will automatically be included in the Award Winning Agency Database with a free premium listing.